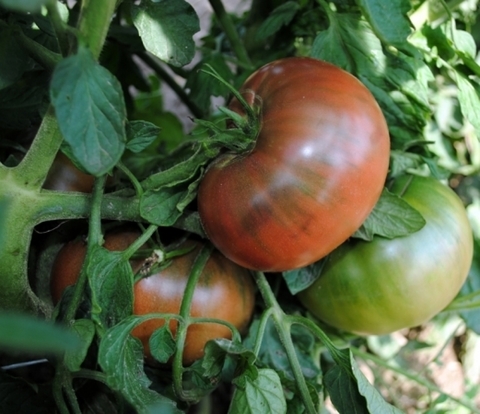 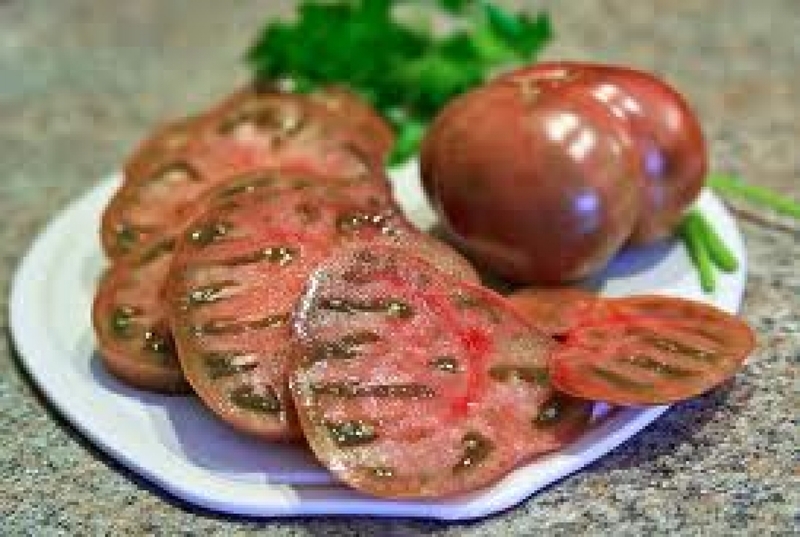 Cherokee Purple tomatoes are beefsteak in style, with green "shoulders" across the top. 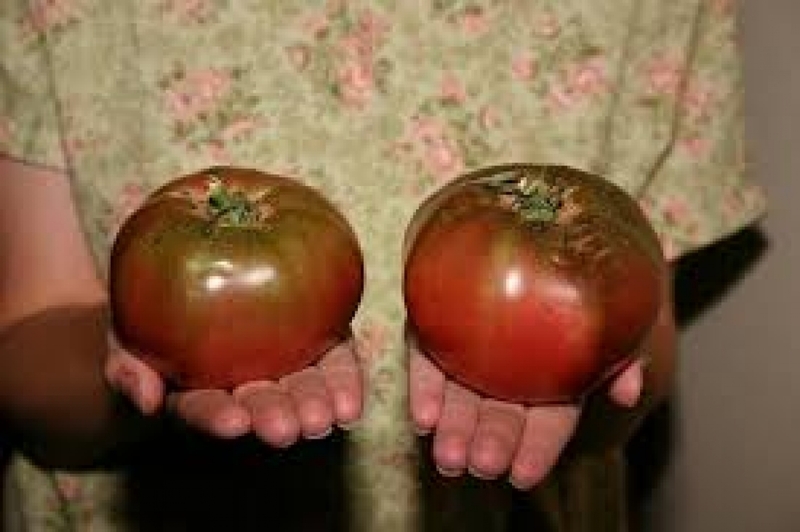 They are also notable for having a dense, juicy texture, with small seed locules irregularly scattered throughout the flesh. 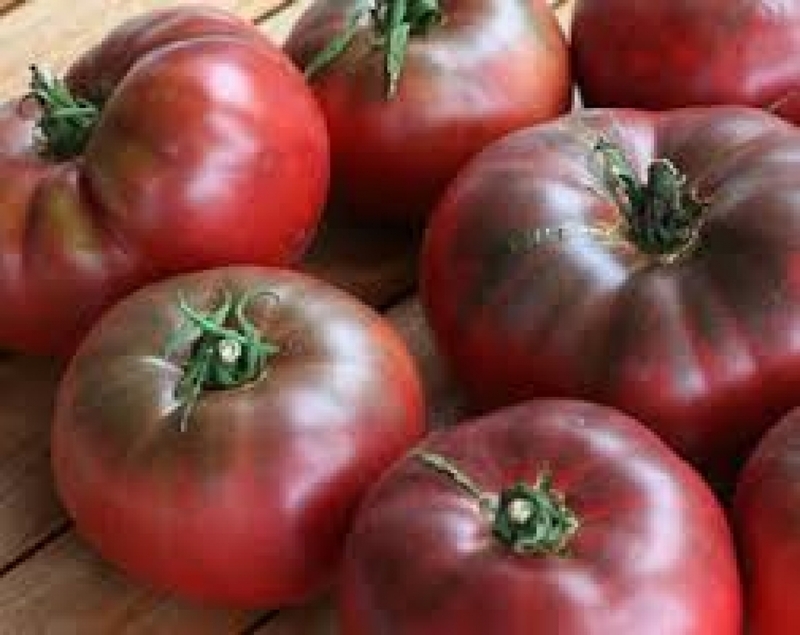 The comparatively dark interior color is enhanced by the tendency of the seeds to be surrounded by green gel. Height : 48" - 96"